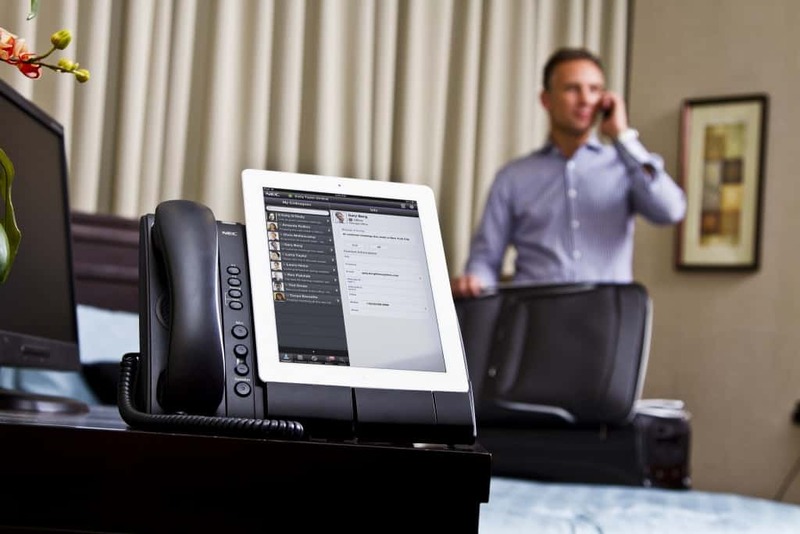 Are you a frequent business traveler? Or perhaps you’ve started a new job and have just recently started traveling for work? Though we don’t often write about business travel, we know that many of our readers also take work trips, so we thought we’d address the overlap and give our run down on these 5 Tips for the Gay Business Traveler. Everybody has their preferred packing method, list of things to bring and favorite type of luggage. We’re not trying to say there’s a “one-size-fits all” strategy, but there are definitely a few things to consider depending on your situation. While checked luggage costs might be incentive to pack carry on only for personal trips, it may be less of a concern for business trips since your company pays the bill. 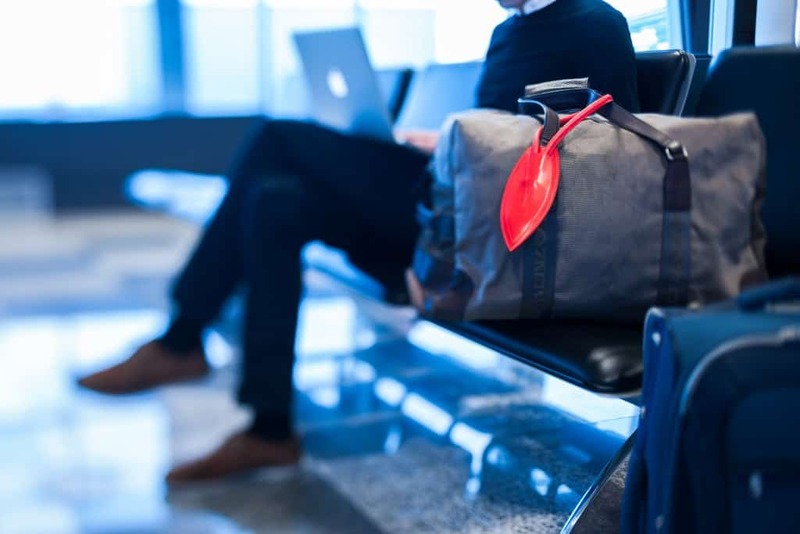 But besides luggage fees – going carry on still has a number of benefits. Your experience at the airport before and after your flight is streamlined with carry on luggage. No waiting in line to check – just print your boarding pass or load it on your mobile phone, then walk off the plane afterwards and avoid waiting for your luggage at baggage claim. 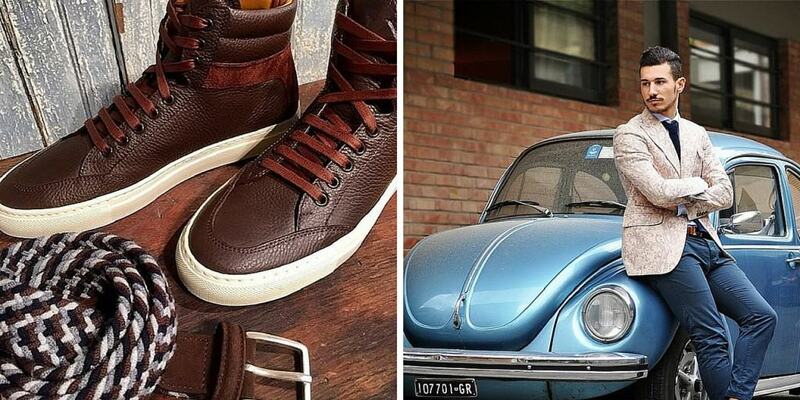 Rock some Koio Collective Italian leather shoes for both work and play! But certainly, packing only for carry on limits your space and weight so you need to pack lightly. 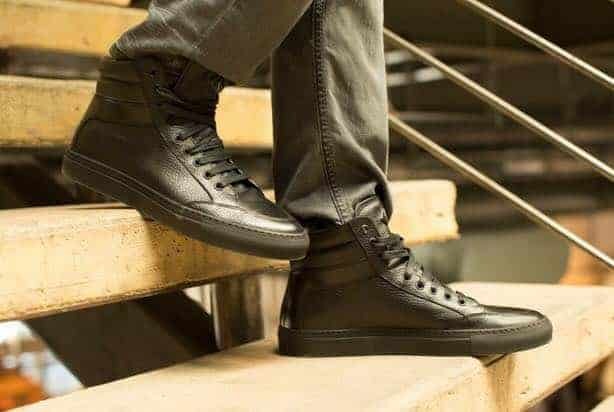 Shoes will be one of your bulkiest items so why not find a pair that serves for both work and play? We recently discovered Koio Collective which offers a few business-casual styles that might just work for your business meeting, your day exploring the city and your night out on the town. Sure, don’t expect H&M-type prices but when you invest in quality shoe, they will last you years. Wrinkle resistant shirts are also a great option to avoid the extra time ironing your clothes before that business meeting. Popular brands like Nordstrom, Banana Republic, Gap and H&M have multiple options at just about any budget. Have you considered extending your business trip so you can spend a few personal days exploring the city? This is a great option if your business trip is in a destination you’re interested in visiting more. If that’s not the case, it may still be worth extending if the city is near another place you’d like to go since it would still save you some cash on an otherwise paid plane ticket. Many companies will let you book your return flight a few days later (or your departing flight earlier), assuming you’ll pay the extra accommodation, meals and local transport out of your own pocket. If you have some control of your business meeting, try to schedule your trip closer to the weekend so you have more time to make a personal trip out of it. If you’ve never done this before or are a bit worried, there’s no harm in asking your boss – the worst case is he or she says no, but the best case is that you get a much less expensive trip as your company paid your airfare – often the most expensive part of traveling. To make things easier to separate business and personal expenses, consider making two separate reservations at the hotel if you want to stay at the same place so you have a separate receipt for your company stay. Or if you’re looking for alternative options, consider a gay hotel located in many popular destinations (check our blog listing here) or perhaps a more budget friendly apartment rental with AirBnB or misterbnb – the gay-friendly version. Whether you’re a newbie business traveler or a veteran, traveling for work is one of the best ways to collect airline and hotel points which you can later redeem for discounted and free travel. And even better, if your company pays you based on trip reimbursement (rather than using a company business credit card) you should consider getting a credit card with a major airline or hotel chain. The money spent on the business travel will count towards additional points or miles to help you get that free trip even faster. The best airline program to join would be the one you fly most often. If you live in a city that acts as an airline’s hub, then you’re more likely to fly that company. Or if you tend to travel to the same destination, the airline hub in that city might be best. Also, you can usually earn and redeem airline points on one airline by flying with one of their partners. The most common partners include the three global alliances including Star Alliance, One World and Sky Team. If you stick to one alliance you can usually earn miles with your preferred airline, even if you don’t always fly them. For example, you can redeem British Airways miles (called Avois) on American Airlines flights or earn British Airways miles when flying American – just be sure to always add your frequent flyer number when booking the ticket or checking in for your flight. Hotel points are another great way to earn free hotel stays – again, sticking with the major chains might be your best bet since they have so many hotel locations all over the world (e.g. Marriott, Starwood, Hilton, Carlson, IHG or Accor) to redeem for your free stay. 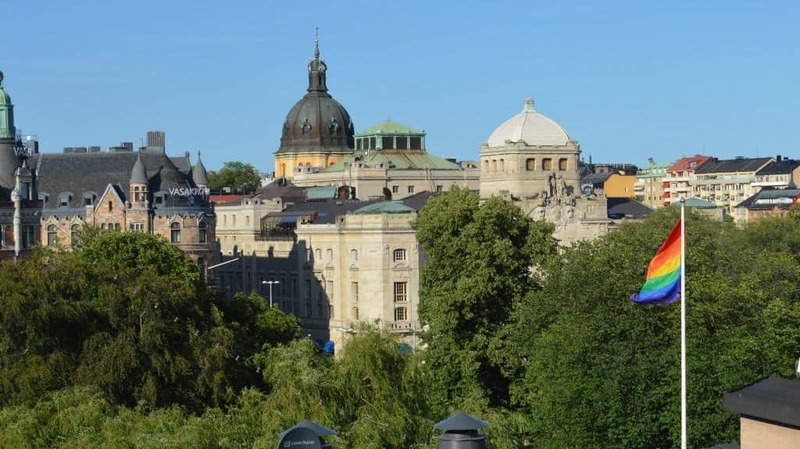 Do you have a few free nights or extra time to explore the gay scene in your destination? There are countless online and print resources which give travel guides for destinations around the world, but there are only a small fraction that feature content specific to LGBT travelers. Of those that exist, many are poorly written, outdated and simply said…just crap. But luckily we do have a few favorites that we use and highly recommend. ManAboutWorld is a gay travel publication that is available on iOS and Android. It’s a digital magazine that offers a subscription but also several free downloadable resources like their guides to West Hollywood, Fort Lauderdale, New York City, Greece and more. Vespa is a new smart phone app that includes updated listings to cities around the world along with reviews. We can’t tell quite yet how successful this app will be, but from first glance it looks well organized and better than most others we’ve seen. Lastly, be sure to check out one of our city guides of course! We’ve published nine very detailed city guides to gay favorites including Lisbon, Porto, Paris, Nice, Madrid, Barcelona, Ibiza, Athens, and Tel Aviv – with more coming out soon in North America, Europe and Asia. Plus, most of our guides have both standard download-able PDF’s and a mobile-friendly version that’s great for taking on the go. If you’re traveling in North America or Western Europe, you probably don’t need to worry about LGBT rights. Sure, you should always practice some caution when traveling but by and large, being gay in these areas is not a safety issue except in extreme cases. But if you are traveling to more sensitive regions perhaps in Latin America or Asia and certainly the Middle East or Africa, you should really do your research in advance. 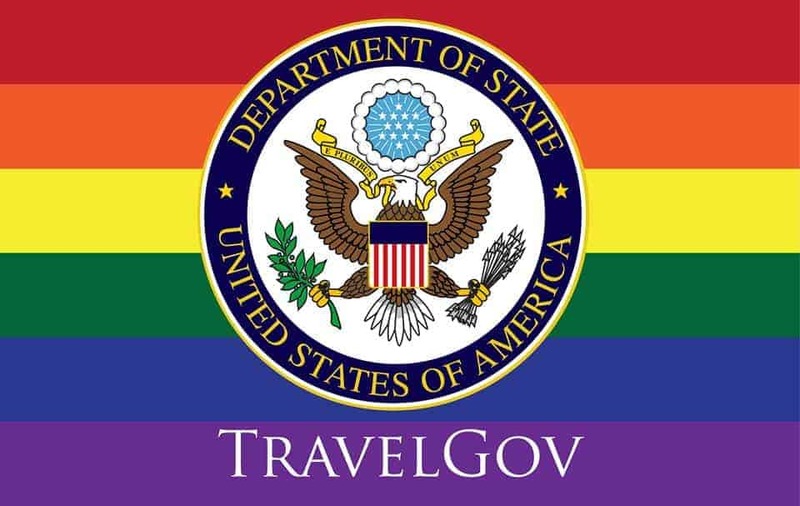 The US Department of State and British Department of Foreign Affairs have good resources for LGBT travelers going to volatile regions. And remember our buddies at ManAboutWorld Magazine? In fall of 2015, they’re publishing an entire guide to LGBT business travel – a segment within a segment, which has rarely been addressed in large scale within our community. Be sure to download the copy on iTunes or Google Play once it’s published! What do you think? Do you have any additional tips for gay business travelers? Let us know your thoughts in the comments below! Featured image and “Packing for Carry On Only” image courtesy of Koio Collective. All good advice here. I’ve been a frequent business traveler for over 15 years now – and 10 of those I was traveling nearly every week, leaving home Monday evening and returning Thursday night or Friday afternoon. While work has sent me to some less than glamorous destinations (spent a year commuting to Moline, IL), I’ve generally found that in every location there’s something to appreciate. Seek out good, local restaurants that aren’t chains – eat at places you can’t eat at home. That helps to break up the routine some. Participate in travel forums on sites like InsideFlyer and Flyertalk, as well as read up on blogs like this one. They’re full of great advice for maximizing points and miles – my husband and I take some fabulous international trips every year, nearly all in first and business class and five star hotels, much of it financed by points and miles earned on work travel. Those sites are also good places to meet new friends, and some even have very active GLBT forums. I haven’t worked in a “normal” office job in over a decade. I recently changed jobs and part of the deal there was that I’d stay in consulting, with an office at home, and at least a couple weeks a month on site working with clients. I could never go back to a normal 9-5 office job in the same location at this point. Thanks for the comment :-) Didn’t realize Flyertalk had LGBT forums. We share your dislike for the regular 9-5 office job and gave that up a long time ago as well. Sounds like you’ve had some great (and luxurious) trips as a result of all the miles. Nice website and happy travels! Great advises!!! I’m actually going on a business trip to Banglore India next month and was thinking of trying to see the gay scene there. I’m not 100% sure if I will get to explore since I will be there all by myself and its not the most gay friendly country. Awesome! India is a tricky place but I’m sure you’ll find something. It’s always a bit on the down low there. Just use your favorite gay social app to connect with locals and get tips.